This Guest Chef post is from Carolyn’s mom. 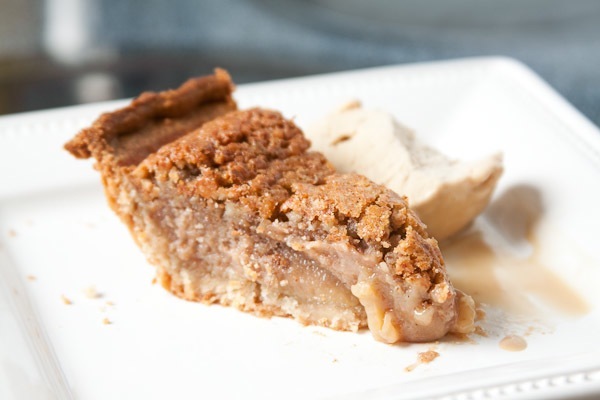 This is not your traditional pecan pie recipe, in looks or taste. It is neither gooey nor overly sweet. That is exactly why our family loves it! On top of that, it is so easy to make that you might feel guilty accepting your family’s accolades. 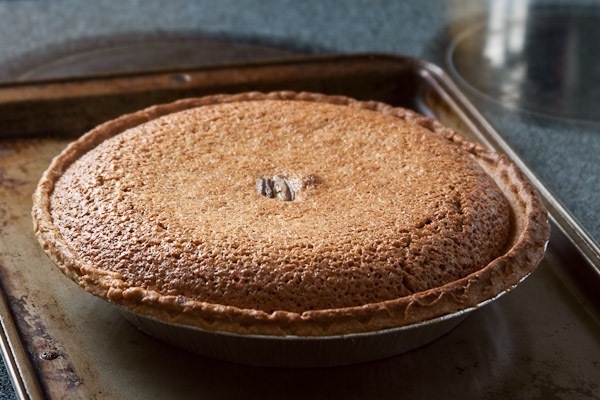 It’s become a family tradition to serve this pie at Thanksgiving and Christmas dinners and other special occasions. Everything goes in the blender so there’s very little mess. I’ve reduced the amount of sugar a little from the original recipe and no one has ever noticed. When the pie first comes out of the oven, it is nice and puffy, a beautiful sight. Since this is still a “rich” dessert, I recommend that you serve small slices. Top it off with a scoop of coffee ice cream. Enjoy! Preheat oven to 400 degrees. Put all ingredients except pie shell in blender in order listed. Cover and blend on chop until nuts are coarsely chopped, about 8-10 seconds. Place pie shell on cookie sheet. 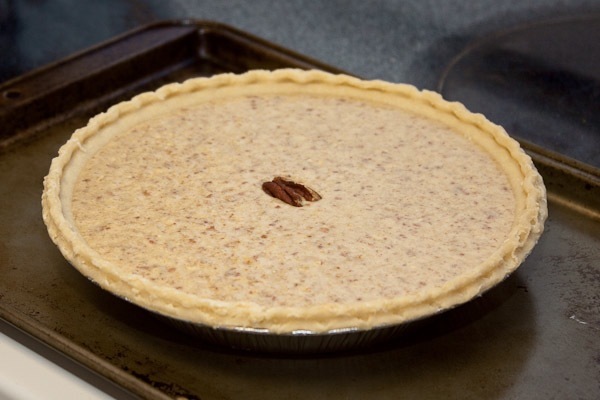 Pour mixture into unbaked pie shell. Bake about 35 minutes or until crust is browned and filling is puffed. Cool. If making ahead of time, store in refrigerator, but bring to room temperature before serving. My sister and I have been looking for this recipe for years. It isn’t a sticky sweet as other pecan pie recipes. I’ve made something similar to this, but with thinly-sliced apples. I call it autumn pie.